Chelsea midfielder Willian has committed his future to the club, saying he has always been “very happy” at Stamford Bridge. The 29-year-old has caught the attention of several of Europe’s largest clubs this summer, including Barcelona and Manchester United. The Spanish giants are understood to have had three bids for Willian turned down by Chelsea, while he was also believed to be high up Jose Mourinho’s list of targets in this window. 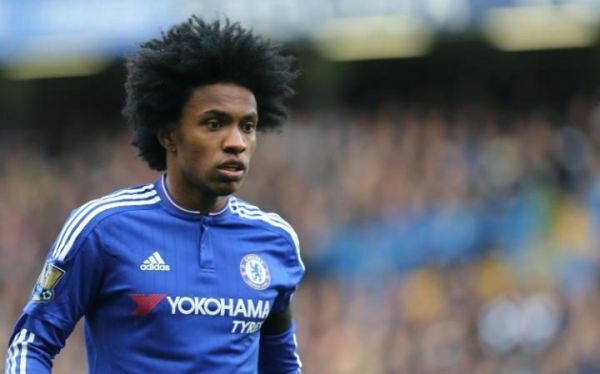 The interest in Willian came after his relationship with previous Chelsea head coach Antonio Conte broke down. However, he says he has spoken to Conte’s replacement, Maurizio Sarri, and reassured him he wants to be part of his plans this season. Speaking after Chelsea’s 2-0 defeat to Manchester City in the Community Shield, Willian said: “I’ve always made it very clear that I’ve always been very happy playing for Chelsea. I never said that I want to leave the club.